The next option are the add-ons. 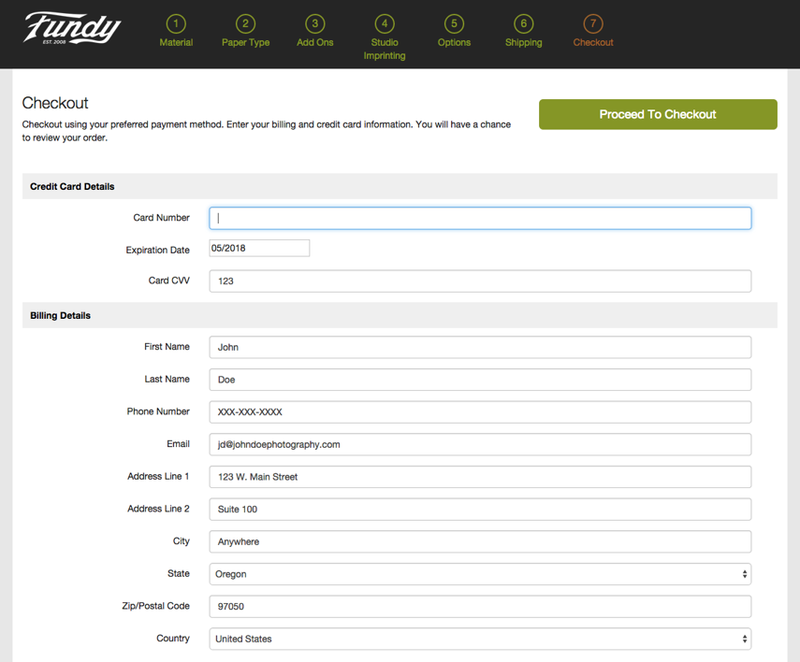 Make your selection from the list that is presented and click the green "Update Cart" button to continue with the checkout process. 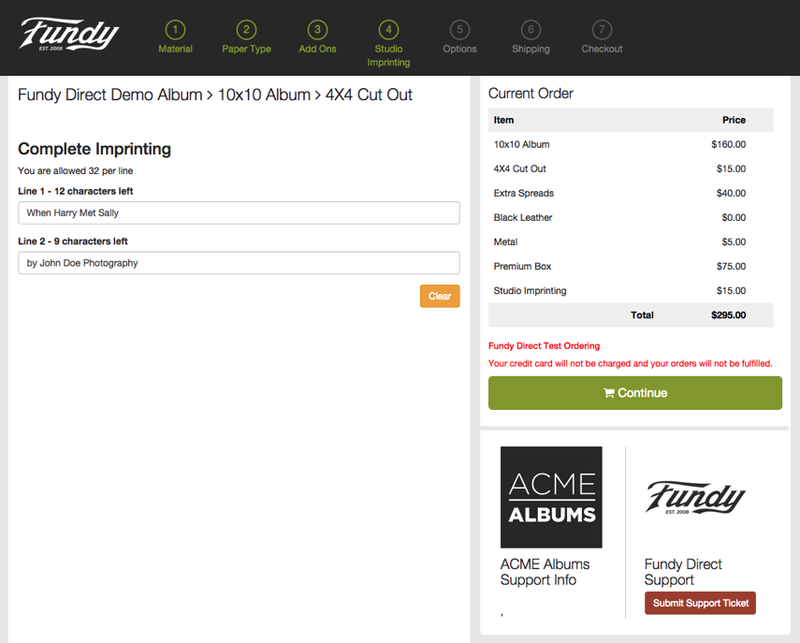 Next, choose whether or not you want your album cover imprinted. Click the green "Update Cart" button to continue with the checkout process. 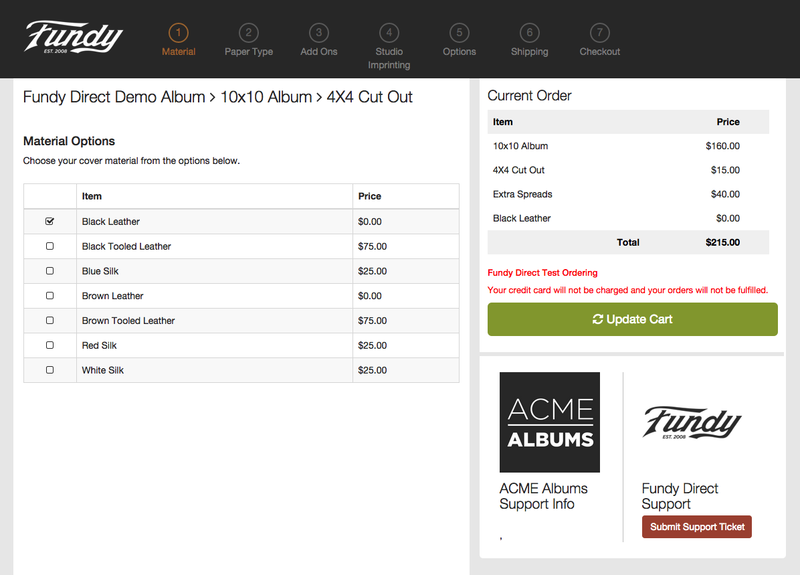 If you selected imprinting options, you'll be asked to enter the text you would like to have imprinted on your album cover. 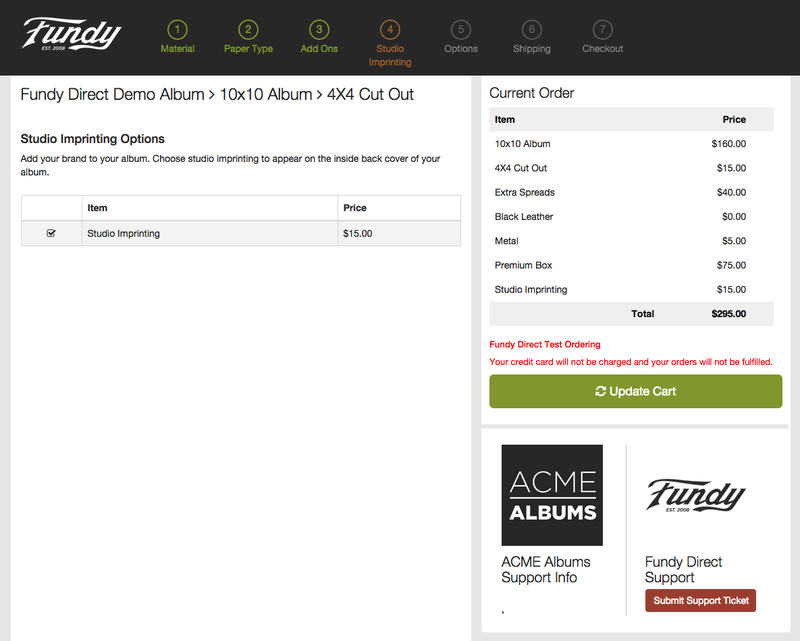 Click the green "Update Cart" button to continue with the checkout process. 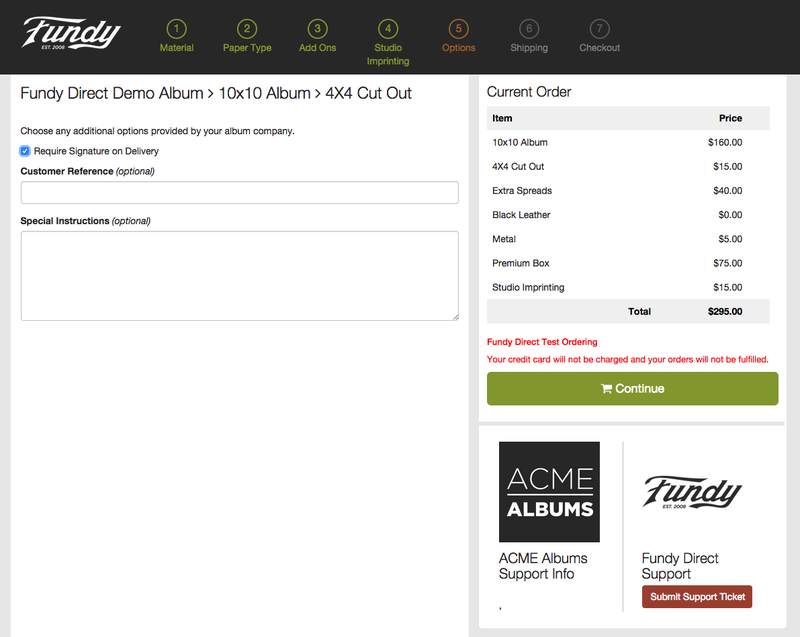 Any additional options provided by your album company will be selectable at this point. Once you make your selections and enter any required information, click the green "Update Cart" button to continue with the checkout process. 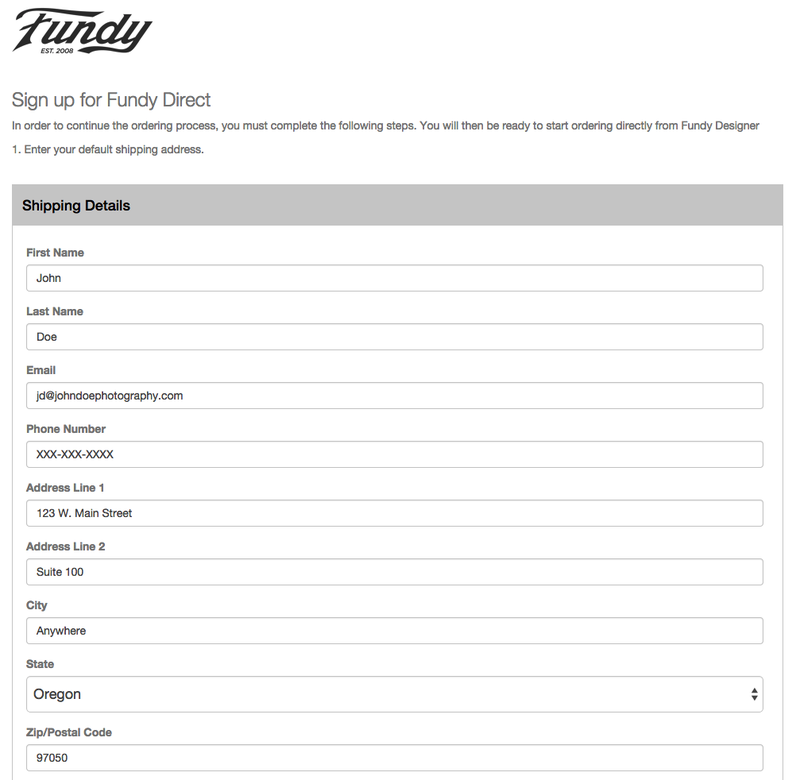 Next are the shipping options. 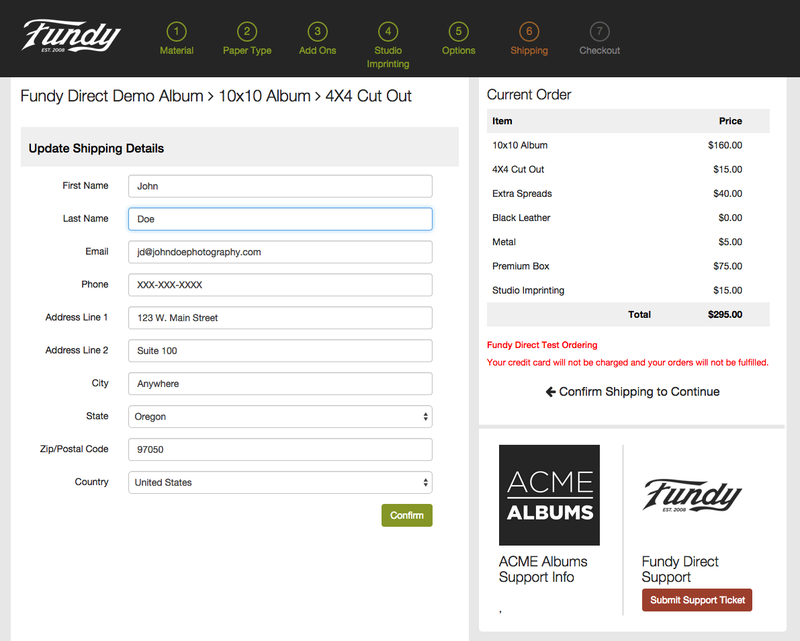 Choose your preferred shipping, then click the green "Update Cart" button to continue with the checkout process. You're almost finished! Now, you'll be prompted to enter your credit card information for payment, along with your billing details. Please ensure that your billing details match what is on file with your credit card company to avoid any delays. When finished, click the green button "Proceed to Checkout" to finish checking out and put your album into production. 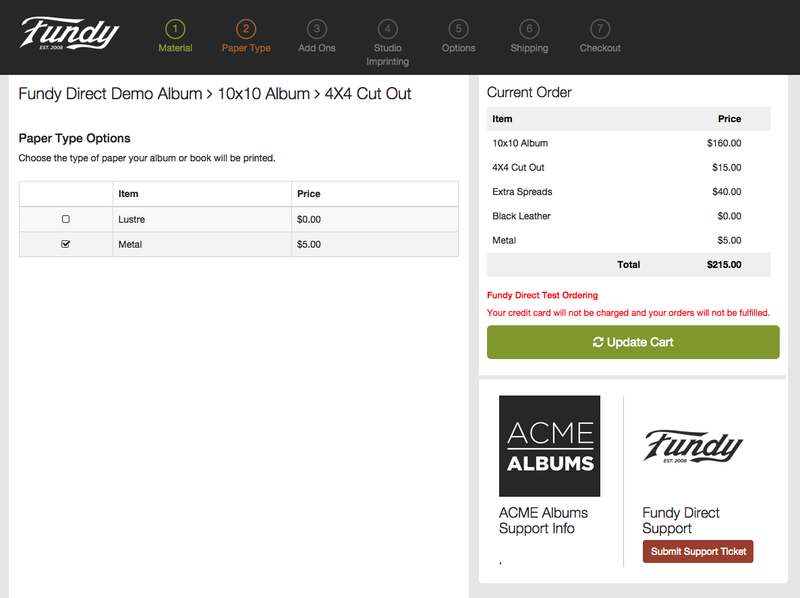 The final step is to verify your album options, shipping and order details. 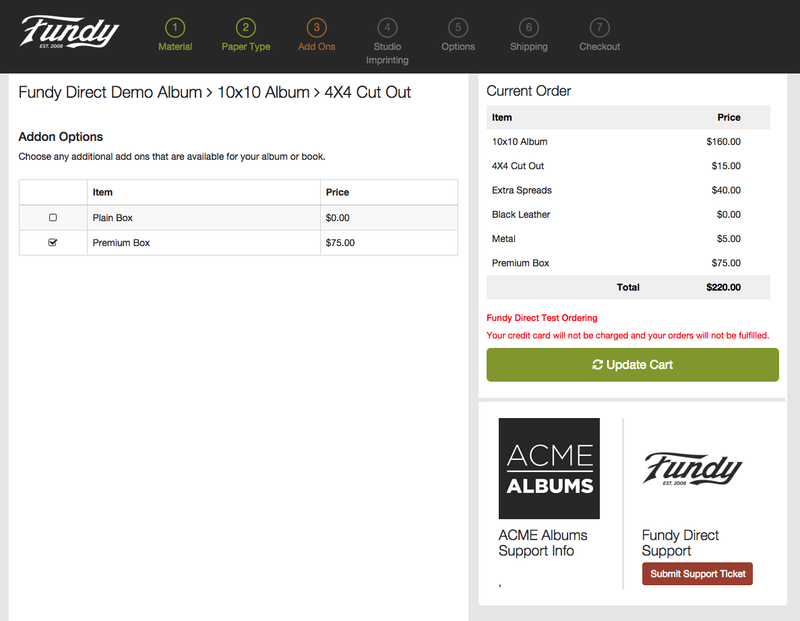 If you are satisfied that everything is correct, click the green "Complete Purchase" button. Your order is now complete and in production. 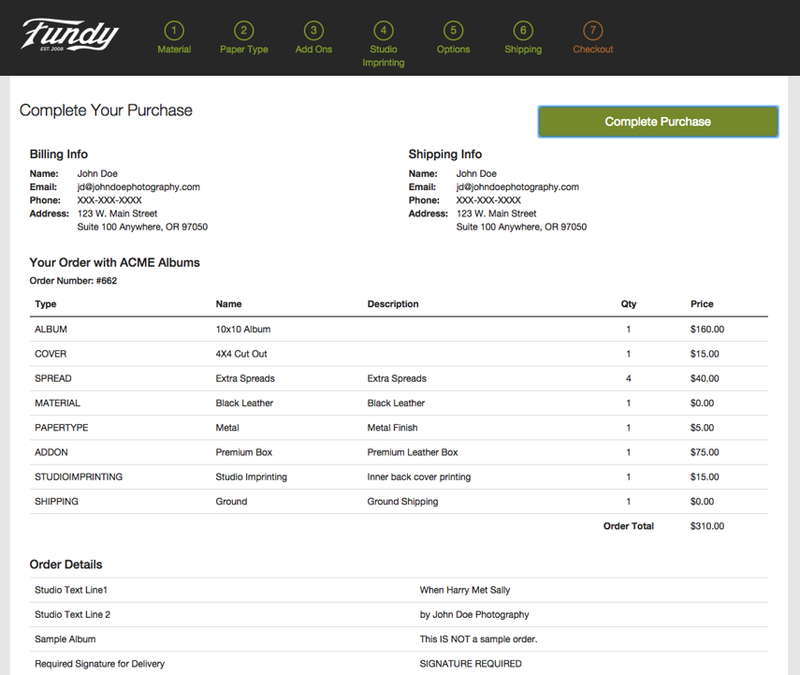 You'll receive a confirmation email with a link to track your order through the Customer Portal or you can click the "Track Your Order" link from the confirmation page to take you immediately to your Customer Portal page. 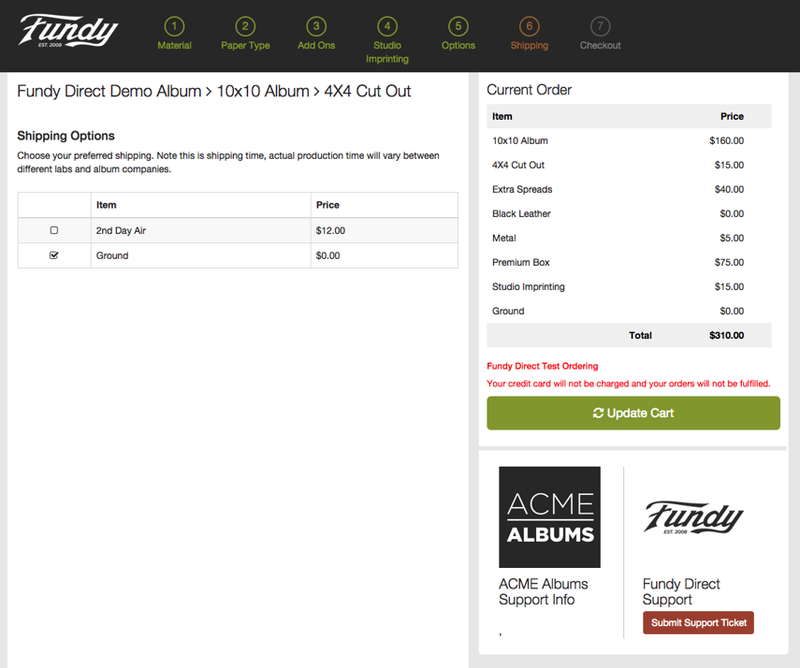 As easy as clicking a few buttons, you've now ordered an album through Direct!